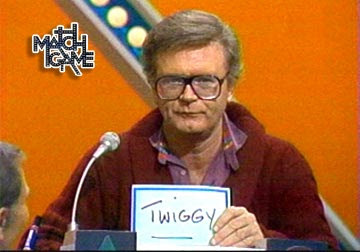 If you're not old enough to remember Charles Nelson Reilly as an unpredictably puckish presence on game shows, variety hours and Johnny Carson's couch during the 1970s, you might not understand why so many folks are genuinely sad today after hearing about his death. (On the other hand, you might recognize his voice as that of The Dirty Bubble for SpongeBob SquarePants.) And even if you are old enough -- well, you still might not know that he studied acting alongside Jason Robards and Hal Holbrook, earned Tony Award nominations (and actually won a glittering prize) as a stage actor and director, and starred in an extremely funny and extraordinarily candid one-man show recorded in the 2006 performance film The Life of Reilly. As I noted in my Variety review of the latter: "There's a suggestion of still-simmering anger when he recalls a brutal brush-off by an NBC talent scout in the early 1950s: 'They don't let queers on television.' Ultimately, however, Life of Reilly is vivid proof that living well, and laughing heartily, can be the best revenge." So maybe, just maybe, someone will finally give this movie -- so well-received on the festival circuit last year -- some theatrical and homevideo exposure?